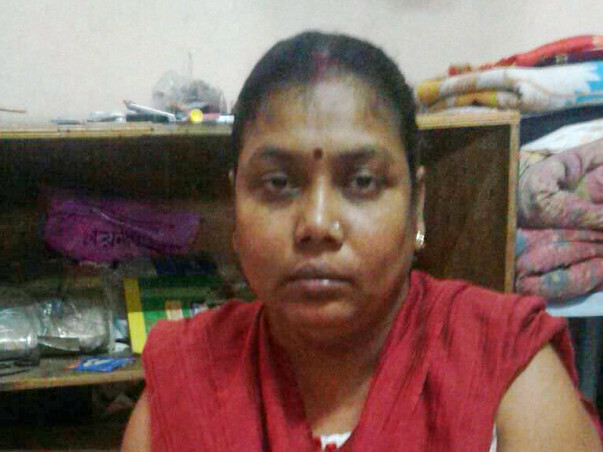 Despite modest income, life for Prabha (a.k.a Prava) Das and her family of Husband and 2 young kids was dragging along until she started losing sensation from waist below. Her condition started getting progressively worse. 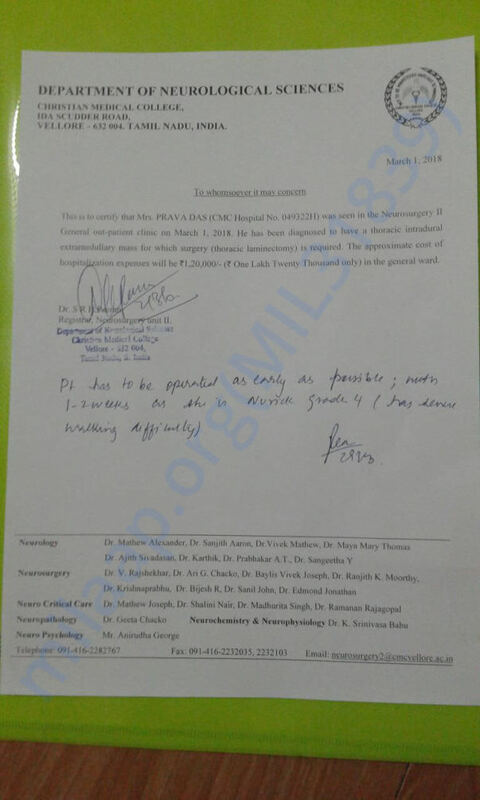 After a series of medical tests from November onwards - She was finally diagnozed with Thoracic Intradural Extramedulary - A rare form of thoracic tumor that has affected her entire central nervous system. Prabha is paralyzed from waist below, and she needs immediate neurosurgery which would cost 1.2 Lakhs. . Her husband who is a daily worker had asked for 2 months time, but doctors have given her only 2 WEEKS to live. Thank you for the wonderful support. Prabha has been hospitalized today. Please do pray for her health and speedy recovery. Will keep you posted and when I hear anything.